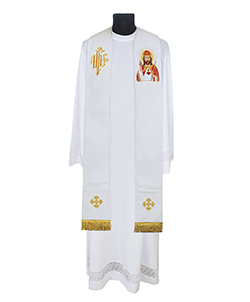 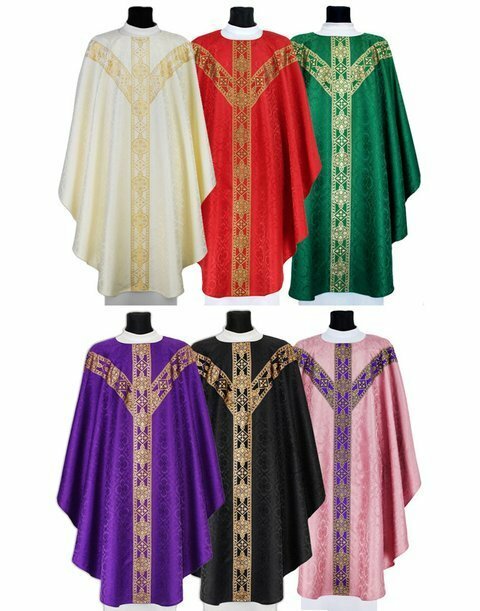 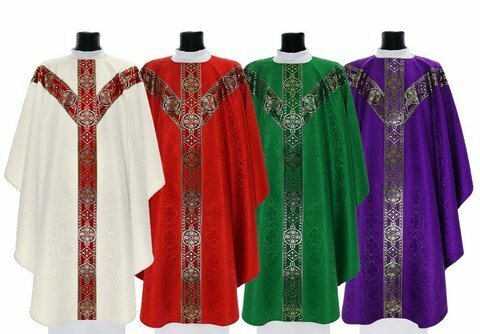 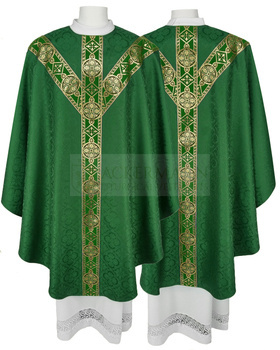 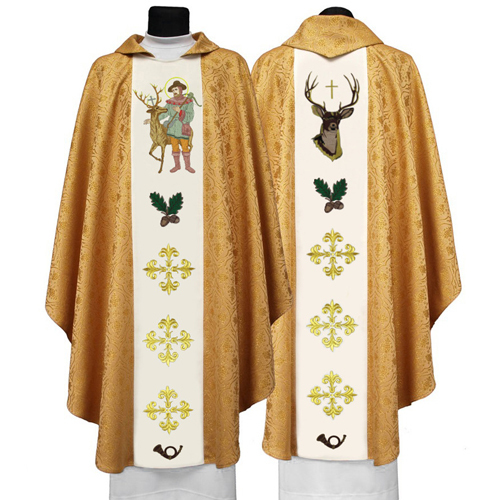 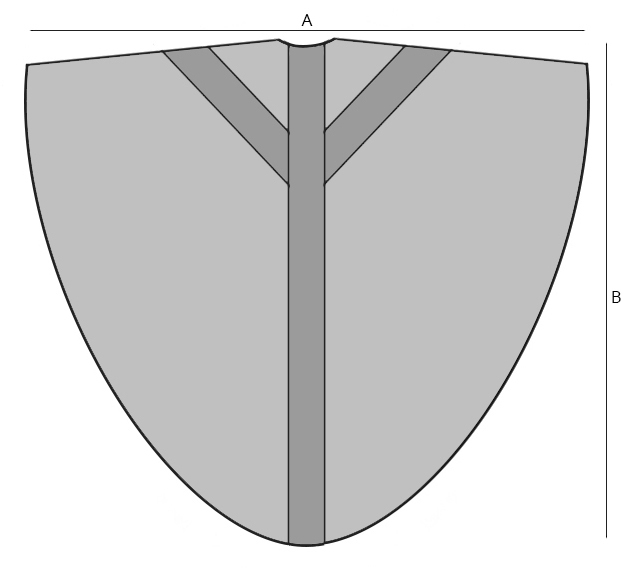 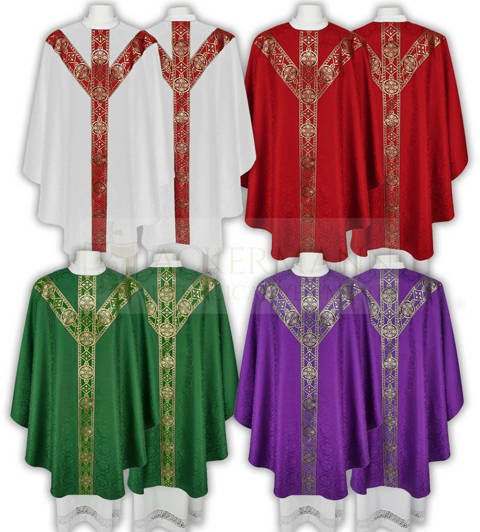 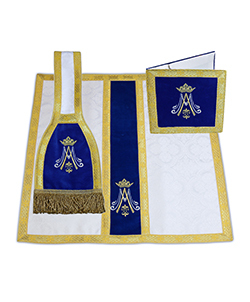 This chasuble is a good value for the money. 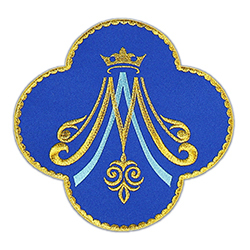 Also, the staff at Ackermann's was absolutely amazing allowing me to customize what I wanted and responding very promptly to my emails. Just lovely! 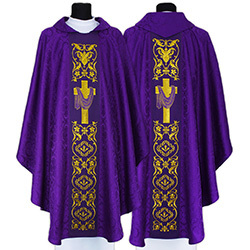 The banding is exquisite, the vestments well-made. 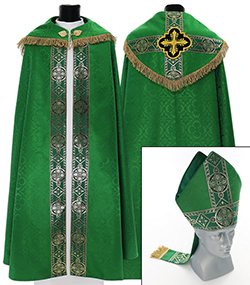 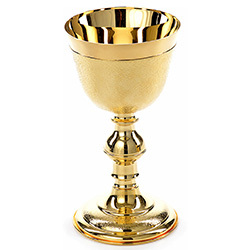 It would be nice if the maniples and stoles were in the same styles, but they work!